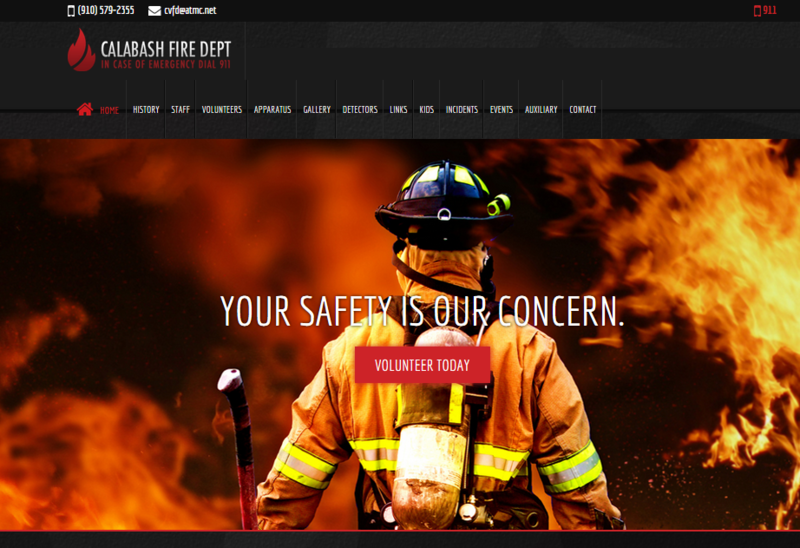 InterCoastal Net Designs recently completed a website for the local Calabash Fire Department, and this site is chock full of information regarding fire safety, volunteering and monthly events. ICND works with clients from near and far, but we are always excited to help a neighbor develop an impressive online presence. Calabash Fire Department’s new website is also responsive, which we urge all of our new and existing clients to consider. Responsive design allows users to see your website fit to the screen they’re viewing it on. So whether you’re using a tablet, laptop or smartphone, Calabash Fire Department’s site can be navigated with ease. Why is responsive design so highly suggested? Well, according to Mashable.com, “Tablet sales are expected to exceed 100 million this year.” People are browsing the Web on a variety of different devices, responsive design allows you to provide a pleasant user experience. Other custom features on the Calabash Fire Dept. site include a quick contact form, categorized photo gallery and rotating homepage images.